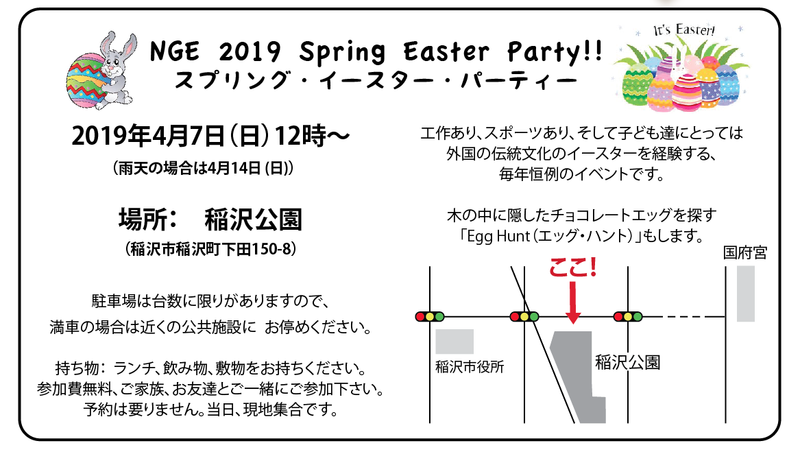 NGE 2019 Spring Easter Party!! 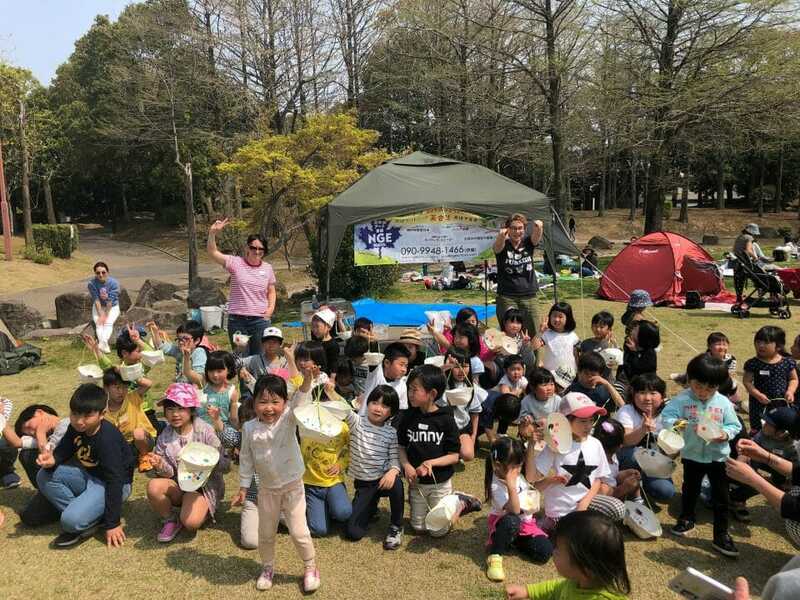 We held our annual Spring Easter Party on Sunday, April 7 at Inazawa Park. We had a beautiful day of sunshine, and lots of friends and families! First, we made Easter baskets, then enjoyed a picnic lunch with our families. Finally, we set out on an Easter Egg Hunt! There were big prizes for the winners of Mega Rock, Paper, Scissors, and everyone got a basketful of treats! 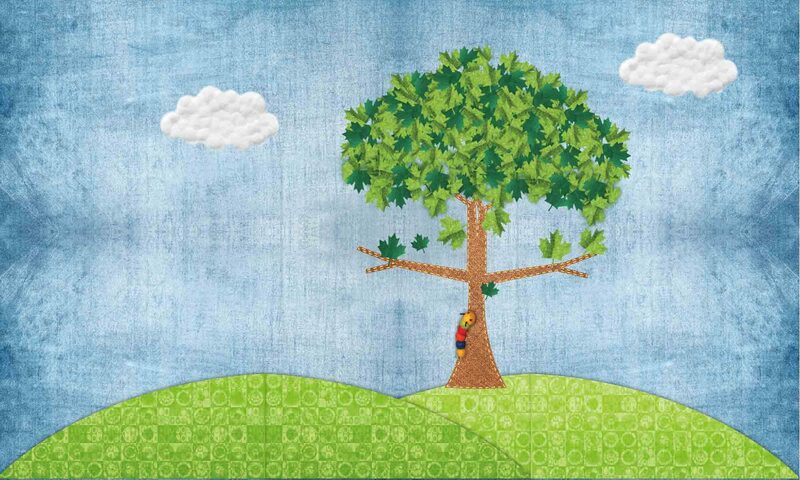 Thank you to our NGE family of students for bringing along your friends, and for helping us make this event a success!